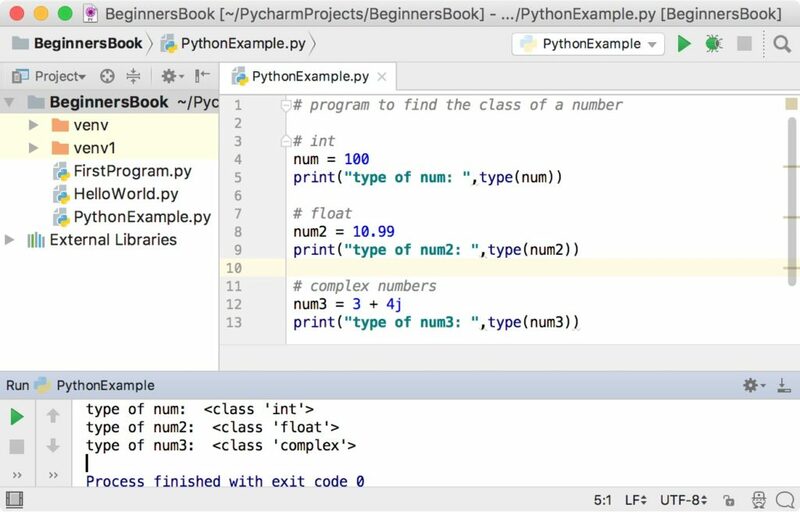 In this guide, we will see how to work with numbers in Python. Python supports integers, floats and complex numbers. An integer is a number without decimal point for example 5, 6, 10 etc. A float is a number with decimal point for example 6.7, 6.0, 10.99 etc. A complex number has a real and imaginary part for example 7+8j, 8+11j etc. We can use the type() function to find out the class of a number. An integer number belongs to int class, a float number belongs to float class and a complex number belongs to complex class. The isinstance() functions checks whether a number belongs to a particular class and returns true or false based on the result. isinstance(num, int) will return true if the number num is an integer number. isinstance(num, int) will return false if the number num is not an integer number.